The use of gemstone heat therapy mats continues to grow in popularity for wellness management. People are turning to their power to facilitate better wellness for a wide variety of reasons. These mats are beneficial for anyone suffering from chronic pains, illnesses, or simply seeking to improve their overall wellness. There is a lot of appeal to these mats because they utilize entirely natural, complex therapies. Since they are natural, side effects are rare, and that is an enormous plus for people that suffer from chronic illnesses that require multiple medications just to manage. Each stone used in gemstone therapy mats has a storied past rooted in wellness management. Amethyst can be seen as far back as the ancient Greeks who coveted the gemstone for its abilities to ward off intoxication and maintain a balanced mind. Egyptians used to carve amethyst into amulets to protect themselves from harm, and the early Christians used them for healing wounds, fevers, and fatigue. Jade can be seen all throughout Chinese medicine for protection. Jade is thought to bring peace and calmness to those that covet its benefits. Since jade is so durable, it was believed that it was linked to immortality. Spanish conquistadors called jade “La Piedra de los Rinones” or the Kidney stone because they believed it dissolved pain related to kidneys and other organs. Jade is also believed to facilitate wellness of the eyes and nervous system. Natural black tourmaline is known as a revitalizing stone. It is electrical in nature, and when heated, helps to recharge the body. Using tourmaline helps increase vitality, counteracting symptoms of fatigue and anxiety. As you can see these stones have many practical uses on their own; however, they are now brought together in one device that melds their benefits together. Choosing the correct gemstone heat therapy mat can be difficult. Almost all companies stick to using amethyst and a heating system to provide the user with far infrared rays and negative ions. These two therapies provide substantial measured wellness benefits. This is the standard of what you should expect from a mat. However, other companies such as HealthyLine integrate the process with even more natural therapies to provide a more advanced and efficient experience for their users. In this case, the gemstone heat therapy mat offers far infrared rays, negative ions, pulsed electromagnetic fields, and in some instances photon lights. Understanding what each of these therapies is capable of is an integral part of choosing the correct ones that will meet your criteria. Once you know what you are getting into, you can adequately assess and make the correct purchasing decision. 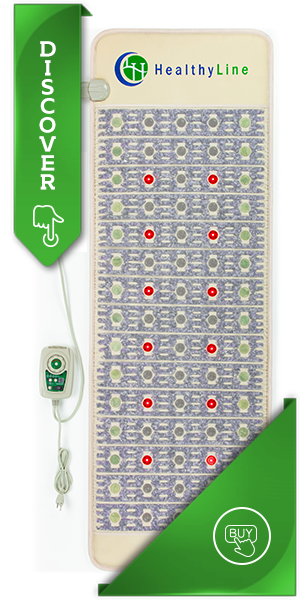 The ultimate goal of using a gemstone heat therapy mat comes down to improving your wellness. Using one each day accumulates into better results in the long run. If on any level you want to feel and live better, then these mats should interest you. On a more specific note, when reaching this new level of wellness, the mat provides benefits that tie into an immense spectrum of ailments. Studies, medical reports, and testimonials assert gemstone heat therapy mats can be used to relieve symptoms of chronic pain, fatigue, joint pain, and much more. Research shows that those living with fibromyalgia, arthritis, Lyme disease, insomnia, hypertension, and even bronchial asthma can find some form of relief. There is no exact list of everything that gemstone heat therapy mats improve, but it is clear that they are a one-way ticket to better wellness. The gemstones initiate the entire process. Without them, these devices wouldn’t be much better than a heating pad purchased from Walmart. Typically, most companies use amethyst in their mats. Some will use jade. More advanced products will make use of multiple gemstones at the same time. The stones you want to look for are amethyst, tourmaline, jade, and obsidian. Often used in alternative remedies, these gemstones are all well-known for their wellness supporting properties. These stones are tested and verified to be semi-conductors of far infrared rays and negative ions, and so the most authentic devices will use them. As mentioned before, these are natural therapies that provide incredible, risk-free wellness benefits. Adding heat to the equation makes this process take place in full force. Heated gemstones release FIR (Far Infrared Radiation) and negative ions in abundance. The hot stones against the skin also activate pressure points and relax the body the same way a hot stone therapy session would at a spa. This warm pressure is also beneficial because it guides the body into a state that is more receptive to other forms of treatment—this includes but isn’t limited to medication, acupuncture, and massage. Gemstones are the foundation that makes everything operate smoothly. Your body is not foreign to far infrared rays; in fact, it receives them each day without you even being aware. The soothing warmth you feel when you step in the sun comes from far infrared rays. These rays are invisible and completely safe at any dosage. They do not cause sunburns or skin damage the way ultraviolet rays do. Far infrared radiation is so beneficial when it comes to promoting wellness because it penetrates 4-6 inches below the surface level of the skin—stimulating surrounding muscles and tissue. People are used to a much different kind of heat therapy. A heating pad or heated blanket that someone buys from Walmart only provides heat to the surface level of the skin. This limitation means that the heat can only affect the areas it directly touches. When FIR gets below the surface level of the skin, it temporarily boosts the circulatory system—providing more oxygen to the body and accelerating natural wellness-enhancing processes. This improved blood flow is the key to unlocking benefits that decrease pain, stiffness, inflammation, and more. In 2008, the journal Clinical Rheumatology conducted a study on the effects of far infrared heat in patients with rheumatoid arthritis and ankylosing spondylitis. In this study, there were measuring the benefits regarding pain, stiffness, and overall wellness. In total, they selected 18 patients with rheumatoid arthritis and 18 with ankylosing spondylitis. Each patient was treated for 4 weeks (2 times each week). More than 88% of the patients reported feeling comfortable or very comfortable as a result of the treatment. In Germany, researchers reported that just one hour of FIR therapy could significantly decrease blood pressure, improve blood viscosity, and increase cardiac output. These findings are the summary of multiple different studies conducted over the years. The far infrared heat causes the blood to flow in people whose diseases often keep them sedentary. In one study, 30 patients at the New York Heart Association with congestive heart failure were treated with far infrared saunas. The treatment consisted of 10, 15-minute sessions over a two week period. The authors reported that FIR improved cardiac function and clinical symptoms in those with congestive heart failure. This resulted in improved vascular endothelial function, which increases the efficiency of the blood vessels. Similarly, a team of doctors in Taiwan found that FIR therapy can have a significant effect on nerve regeneration and motor function improvement. Patients were treated 5 times per week for 30 minutes a day with far infrared radiation. 8 weeks following surgery, nerve regeneration in the placebo groups showed significantly less progress. Many Americans have jobs in which they sit at desks for long durations of time each day, in fact, more than 31 million Americans experience back pain at any given time. According to the American Chiropractic Association, more than 80% of the adult population will experience back pain at some point in their life. Luckily, this growing concern can be managed. In a recent study, 50 people were chosen as subjects because they have had back pain for more than six months. They were given far infrared heat pads and administered treatment at least 45-minutes a day for 4 weeks. The reported results after the four week period were significant improvements in pain and well-being in 90% of the subjects. There are more than 200,000 cases of chronic fatigue each year. Those suffering from it struggle to pick themselves up from it and struggling only makes it worse. Recent studies involving far infrared suggest that its radiation could offer these people some relief. Patients underwent a total of 35 consecutive treatments, once a day. Each treatment took place in an infrared sauna at 60 degrees Celsius. It was reported that after 15-25 sessions, each patient experienced improvements in fatigue, pain, sleep disturbances, and low-grade fever. Heated gemstones simultaneously release negative ions as well. Ions are an atom that has gained or lost a charge. So when we say negative ions, we are talking about an oxygen atom charged with an extra electron. Another invisible natural therapy, negative ions are tiny in size, but significant in benefits. These ions are present in natural settings that contain large bodies of water such as lakes and waterfalls. An over-saturation of negative ions is responsible for the change of smell of the air following a thunderstorm. The benefits of negative ions primarily focus on the respiratory system and detoxification. They attract harmful positive ions (which can include airborne viruses) and remove them from the external environment. Additionally, they can help improve mood levels and generate more serotonin in the brain to facilitate sleep. In 2006, doctors at Colombia University published a study claiming that negative ions could be the new key to managing seasonal affective disorder (SAD). SAD is a form of depression that affects over 2 million people in the United States alone— creeping in every winter just in time to make many sluggish and gloomy. A study of 78 SAD patients indicated exposure to negative ion therapy showed about 50% of patients regaining energy and mood levels. Additionally, when the therapy acclimates to the each individual’s sleep cycle, the percent of those that experience an improvement climbs to about 80%. Another study published in the International Journal of Biometeorology from 1973, tested the effects of negative ions on emotional responsiveness and serotonin levels. After 14 weeks of treatment, it was reported that those given high concentrated doses of ions were more responsive and showed heightened levels of serotonin. Now that we have discussed the basics of gemstone heat therapy mats, you can see how the use of one would reshape your wellness. As mentioned before, some companies embed other natural therapies into their mats. One of these bonus therapies is pulsed electromagnetic field therapy or PEMF. HealthyLine, a well-known company in the field, owns a patent for the combination of far infrared technology and PEMF in a gemstone therapy mat. 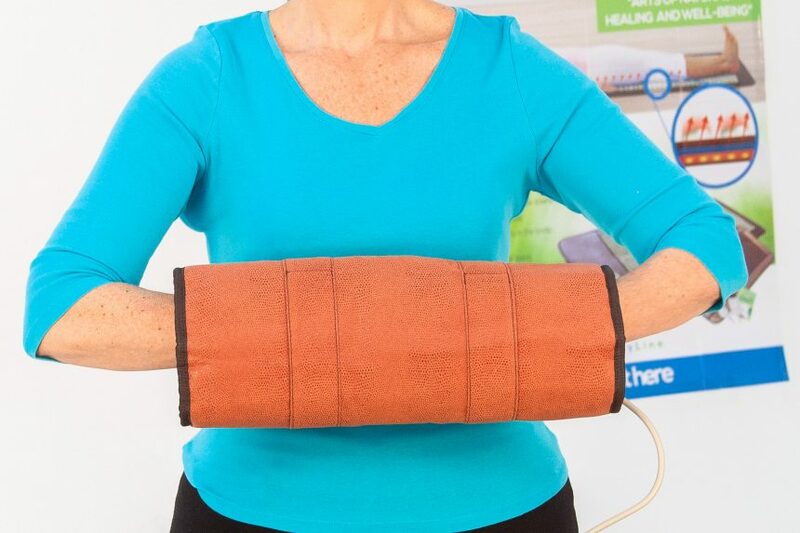 If you are looking to get the most out of your experience with a gemstone heat therapy mat, PEMF is essential. The Earth emits a frequency that the human body needs to maintain proper wellness levels. As a result of an increase in the prevalence of technology, this frequency faces a lot of interference. PEMF is a process of applying magnetic fields of a particular frequency to the body. Ideally, you need to use a frequency of 7.8 Hz which is the same frequency as the Earth’s because this is proven to be most beneficial. This value is the most attuned to the body’s natural biorhythm and promotes the most realistic natural experience. They make devices that apply PEMF in different waves—pulsed sinusoidal has shown the most significant results. PEMF functions as a cellular tune-up, enhancing your body’s overall functioning as well as improving blood circulation, reducing chronic pain, and more. 350 million people worldwide suffer from depression; 16 million adults in the US suffer from depression. A study published in the Cambridge University Press was conducted on patients with treatment-resistant depression using PEMF and antidepressants. 65 patients were treated with PEMF either once a day or twice a day. The goal was to reach remission which they deemed for the purpose of the study to be a 7 on the Hamilton Depression scale. In a 5 week period, 26.5% reached remission with once a day treatment and 32.3% reached remission with twice a day treatment. After an 8 week period, patients saw remission up to 75% as a result of using PEMF with their medication. These results suggest that PEMF could supplement other forms of treatment to make them more successful. Another study was conducted to measure the effects of PEMF on people with treatment-resistant depression. The study took place over 5 weeks in which a sham group was compared with a group receiving real PEMF therapy. Each person received treatment through a helmet designed with 7 PEMF coils inside. The same treatment was administered for the entire 5 week period with no alteration. Reported results indicated that those receiving PEMF showed significantly higher clinical results, with original progress being seen within the first week of treatment. The benefits of a noninvasive treatment for depression are incalculable. Many people with depression are turned off of medications offered by doctors because of negative experiences they have had with them. In one 1999 study by the Bangladesh Medical Research Council, researchers applied PEMF stimulation to 13 long-term non-union fracture patients. Within 14 weeks, 11 out of those 13 patients experienced successful bone healing. In another study, nine nonunion metatarsal bones were treated with PEMF. All fractures healed in a mean time of 4 months (range 2-8 months). Those fractures treated with both pulsed electromagnetic fields and a cast healed in a mean time of 3 months (range 2-4 months). Cervical osteoarthritis causes a major reduction in the range of motion. Patients struggle to remain mobile and move around this happens. Research published in Clinical Rheumatology found that PEMF treatment increased the range of motion and reduced muscle spasms and neck pain in osteoarthritis patients after receiving treatment twice a day for three weeks. In another study of 34 patients (15 of which were treated with PEMF and the rest with placebo), the PEMF group experienced a reduction in pain and discomfort of about 50% as opposed to only 10% of the placebo group after just a six week treatment period. According to the Arthritis Foundation, more than 50 million adults have a form of doctor-diagnosed arthritis. That’s 1 in 5 people over age 18. Arthritis is the nation’s No. 1 cause of disability. He isn’t the only major player involved in the PEMF field. NASA is an advocate for PEMF therapy and has published several studies about it in regards to maintaining the wellness of their astronauts. The heat from a gemstone therapy mat will only make the PEMF more efficient, which is why its inclusion makes perfect sense. The last natural therapy finding its way into gemstone heat therapy mats involves photon lights. Photon light therapy has a short wavelength, so it doesn’t penetrate deeply. Photon therapy uses visible red lights at a wavelength of 660 nanometers, an efficient frequency that reaches down into connective tissue. When the body absorbs this light, it forms into nitric oxide. This stimulates synthesis of adenosine triphosphate (ATP). This is essential for the metabolism of all cellular regeneration. Photon light therapy assists directly with the mitochondria, the part of the cell responsible for generating proteins and collagen. The new cells destroy old cells, assisting even further with detoxification. For photon light therapy to be effective, it must have a high frequency and make direct contact with the area that needs restoration. Photon light therapy is beneficial in all areas of cellular regeneration. This includes skin restoration in the form of acne damage, burns, and more. Photon light therapy is also a well-liked approach to managing signs of depression, and there are many devices out there designed to utilize it for this purpose specifically. In 2009, a journal called Behavioral and Brain Functions published a study about the benefits of using photon light therapy to treat depression and anxiety. The study was conducted on 10 patients with major depression, and results were measured using the Hamilton Depression Rating Scale (HAM-D) and the Hamilton Anxiety Rating Scale (HAM-A). Following two weeks of treatment, HAM-D results showed an average decrease of about 54% and HAM-A results showed an average decrease of about 63%. Furthermore, after the four-week trial, the results were 23% and 36% decreases accordingly. Another study from 2004 published in the Dermatologic Surgery journal, light therapy was measured for its effect on acne vulgaris, a chronic skin condition that occurs when oil and dead skin cells plug hair follicles. Results showed that 85% of subject reported a reduction of at least 50% of lesions after just two months. In roughly 20% of these cases, acne eradication reached levels of 90% and after a three month period, complete clearing of the acne ranged around 70-80%. There was a nonresponsive rate of about 20%. Photon light can penetrate deeply into your cells and enact a change from the inside out, resulting in a noticeable improvement of complexion. This study was conducted because of the growing demand for a fast, easy, and side-effect-free novel therapy for skin management. The results speak to the effectiveness of photon light therapy as that management system, mainstream companies lately releasing light emitting devices of their own for skin repair in recent years further supports these findings. If you are looking for a compact and efficient way to facilitate better wellness, then a gemstone heat therapy mat is something you should be wholeheartedly considering. As stated before, there are a lot of different kinds of gemstone therapy mats that come with different stones, various therapies, and multiple sizes. When it comes to everything discussed, HealthyLine is the only company that satisfies all criteria, and we do it impressively. As mentioned before, we own a patent for PEMF and gemstone technology, so if PEMF is something you want with your gemstone therapy mat, there is no other choice. Not only does our company offer the most options, variety, and benefits, but the price-point is significantly lower than others out there. You can get a mat from HealthyLine starting at just $100, meaning there is an option for any kind of budget you may have. While our top of the line models may run up to $1500, this is nothing compared to other companies that offer less value, but charge upwards of $3000. HealthyLine mats all come with a 45-day risk-free trial period, and so you can order one and find out if you like it. If you don’t, you can return for any reason—no questions asked. Choosing the correct mat is an integral part of the journey to better wellness; HealthyLine is the best place to start. You can browse our mats by clicking here.